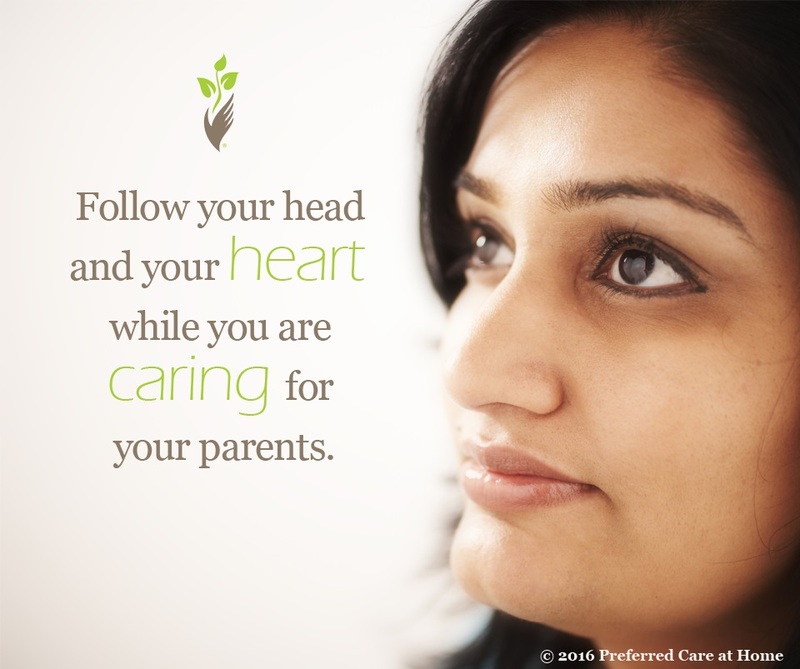 Caring For Your Parents at Home: Trust Your Intuition! My sister, Cindy, who cared for our parents at home during both their long term illnesses shares another insight into what she found was helpful in decision-making. Cindy shares with us how important it is to listen to your intuition when it comes to caring for your parents or a patient you know and have worked with for some time. “Though it was my parents that I cared for over ten years, so I knew them very well, I found it was still so important for me to listen to what they said they needed, think, and act on my intuitions in their care. This meant that I had to weigh and sometimes set aside well-meaning advice from other family members or non-involved health care professionals. For example, on the subject of death and dying, I was advised numerous times when my mother’s health had gotten so fragile to discuss with her about letting go. I knew this was a subject that would be very difficult to bring up as she had let her feelings known for years. She wanted to live life as best she could and remain with her family for as long as possible. It did not matter to mother, the level of care she had to endure even with a feeding tube, port for medications in her neck, and urine catheter. Well-meaning hospice nurses put pressure on me during their home visits to address the subject of letting go. I knew better having known my patient this would not go well. I should have paid attention to my intuition. I explained to my mother that I knew how invasive and painful all her care was and if she wanted to let go, I would understand. Her first response was, “Will you go with me?” Which left me speechless. She followed that up with, “Are you tired of taking care of me?” That broke my heart. I told her I would never stop of taking care of her and we put the subject to rest for the time. I have learned that all patients approach death and quality of life at the end of life differently. You have to know your patient and lean on your intuition to know when the time is right to have these kinds of discussions. I also realized how much my parents had bonded to me and did not want other family members handling their cleaning and bathing. My sister Laurie, who you know through these blogs, had no problem letting me take charge with our father even though she was more experienced. My sister from California, also a health care professional, was not as easy to convince. I knew I should have cautioned her more thoroughly when she came to Virginia for her visits with Dad but against my better judgement I let her jump in to deliver his care. This usually ended with my Dad yelling, acting out, cursing and sometimes throwing a punch or a kick at my sister. There were hurt feelings and a lot of frustration on everyone’s part.